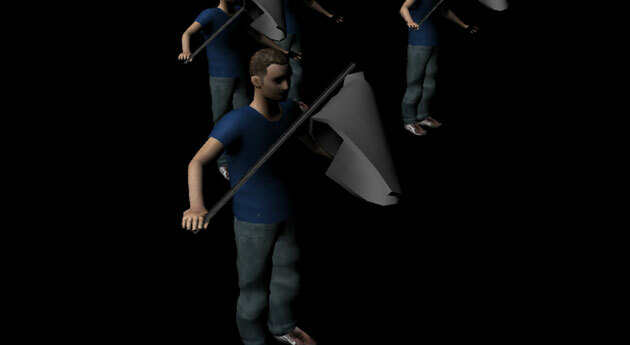 Baked cloth simulation replay can be done by using the Geometry Animation Behavior. create a flag, and parent it (with its pole) to the hand bone. 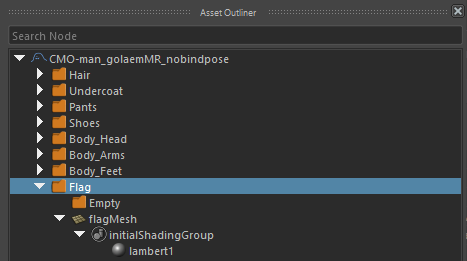 Select the Character Node in main workspace, and relocate its Geometry File in the Asset Properties panel by clicking on the button. Browse to the geometry file you just exported with the flag. 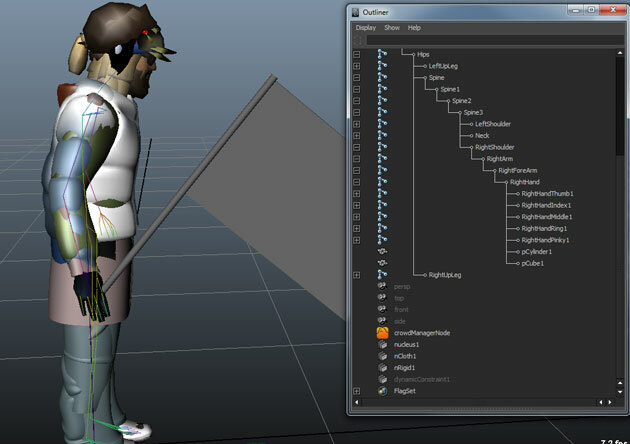 You may need to set a bigger bounding box than the usual character because of the flag simulation. 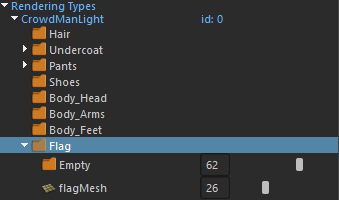 Then in the Rendering Types view, adjust the weights of the Flag group. 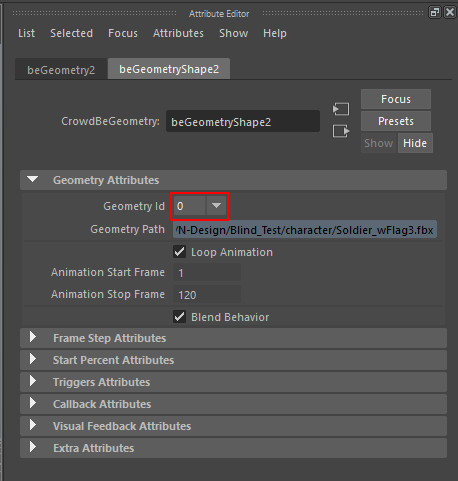 Go inside the geometry Behavior attributes and set the geometry Id so the fbx/gcg is found inside your gcha. You are now ready to run the simulation tool and render your animation!